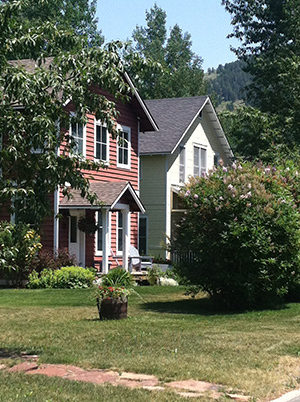 The descriptive term “local market” is meant to describe properties for which the buyer pool is comprised of people whose primary source of income is generated within the local economy. Typically this implies full time residency and a need to be proximal to the necessities of everyday life, which often include schools and shopping. 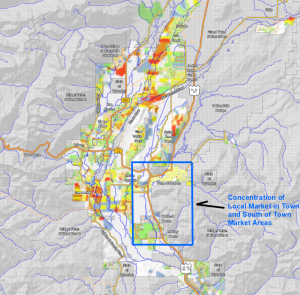 Considering the diversity of the local economy and the economic opportunity that being a national destination resort town brings, this is not meant to imply that the “local population” does not reside in any and all parts of the valley. 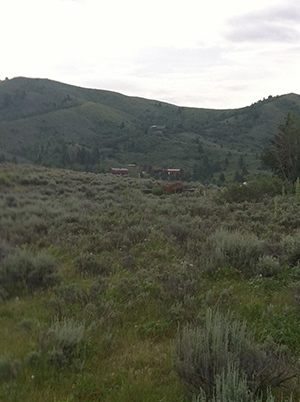 Furthermore, considering that the views and recreational opportunities which make Jackson a national destination are virtually unavoidable throughout Teton County, this should not be interpreted as an inference that homes that are located in the “local market” are not often targets for second home buyers. 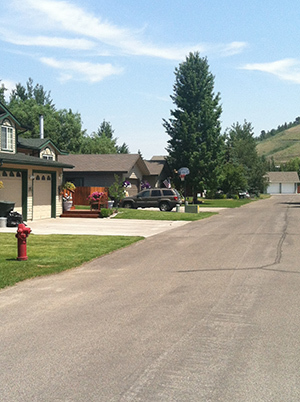 Rather, the local market simply identifies properties that are most probable purchase candidates by participants in the day-to-day economy of Teton County. 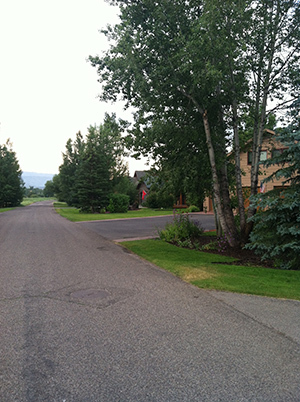 Geographically speaking, properties comprising the local market are located in the Jackson Town and South of Town market areas and are comprised of homes selling in the range of $1,200,000 or less (although exceptions are noted). 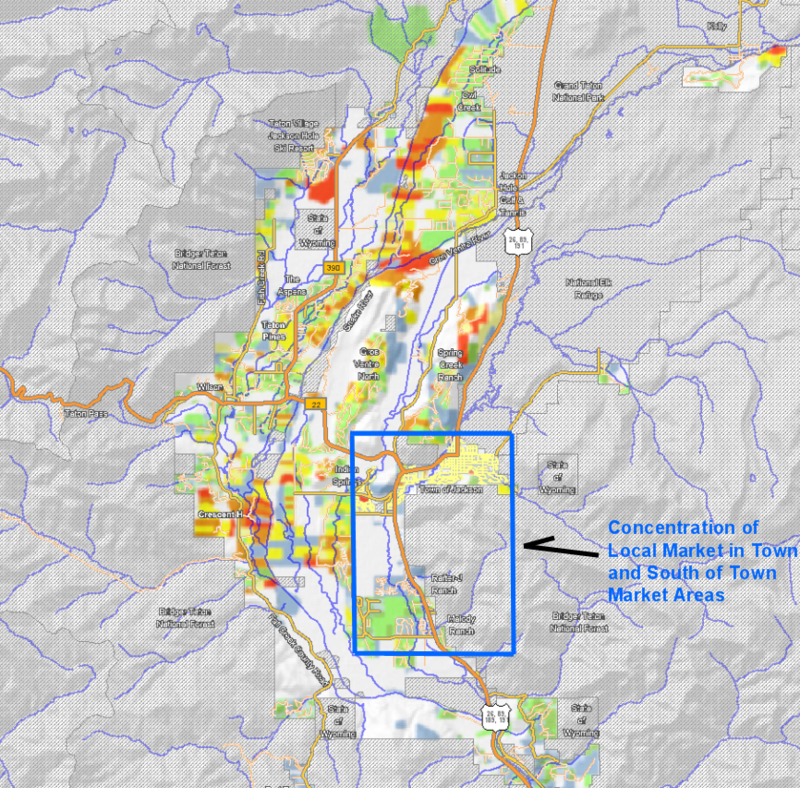 Observing the adjacent thematic map of assessed property values in Teton County, this conclusion can be visually corroborated by the concentration of the blue and green-shaded regions in these areas.